Rum-Punch Drunk: Best Friend or Worst Enemy? What on earth would a 4 year old, 8 year old, a pregnant woman and an 83 year old all have in common? Here's a clue, they were all killed. But what might surprise you is that the culprit is commonly known to us as 'mans best friend', the dog. What is it that turns an affectionate pet into a vicious killer? Or did we try to turn a vicious killer into an affectionate pet? The 4 year old was playing with her mother at home when the neighbour's dog simply walked in from off the street and attacked her. The 83 year old was attacked whilst in his own garden by an escaped dog. The pregnant woman was found unconscious in her home with her own dog standing over her, she later died from the injuries. So not all dog attacks take place outside of the home, and not always at the hand (or paw) of an animal unknown to the victim. Apart from the deaths caused by dogs, there seems to be a high increase in the amount of horrific injuries. I have a great concern how specific breeds of dogs are deliberately being used as weapons, especially by youths within the gang culture. These dogs are being used to cause fear and intimidation to control their victims. In one situation the dog was used to bring down the victim who tried to run away before being stabbed and beaten to death by the gang. So are dogs dangerous by nature? Or is it just some breeds that are innately aggressive and therefore should never become pets? If so, what should we do with those breeds? I love dogs. I grew up around Alsatians, German Shepherds, and various other breeds. Our dogs were under strict control at all times and was placed on a lead whenever we left the house. 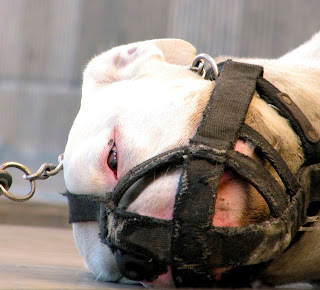 Nowadays, you see groups of teenagers and even adults who always seem to have a pit bull type looking huge dog with them, hardly ever on a lead roaming the streets as a display of status. The sheer size and power of the dog compared to the owner is usually disproportionate. At times you can clearly see that the dog seems to be taking the owner for a walk. I know that if the dog was to switch, there is no way that the person would be able to control it. Given the opportunity I would love to have a dog again, but these events which are on the increase, raise serious questions for me. Regardless to how much time you spend training/nurturing a dog, whether you muzzle it or keep it on a leash, a dog can become unpredicable with no prior warning. If a dog decides to attack for whatever reason, you may find yourself in a situation where you cannot control your own dog. In light of all the above, if a dog becomes aggressive and attacks, should the owner be held totally responsible and face the full strength of the law? Should the dog be held responsible therefore giving it an automatic death sentence regardless to the injuries caused? If you ask if a dog can be aggressive? ALL dogs can and will be aggressive at some point. The dog is a domesticated 'wolf' at the end of the day. That is their ancestor; of all of them. Yes, some dogs can cause greater injuries than others, because of their size and character. (As the evolutional lines dispersed, different breeds show different 'talents'...). Dogs can be trained and bred for certain purposes, and there is where it all starts. 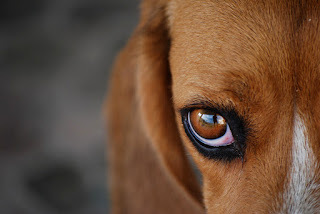 What WE human beings do with these traits of that specific dog and HOW we manipulate these. Thanks Ziva, I appreciate your passionate for dogs. The owner is responsible for their pet. If the owner is not negligent and say the dog digs a hole under a fence, gets out and attacks, the owner should have limited liability. Thanks Chris. Interesting point you made about 'limited liability'. I guess in this circumstance full blame may be a bit harsh, unless this was a recurring issue with the dog digging it's way out of the garden and attacking.... (limited liability then becomes a problem). It's the owner dog and he/she should take the responsibility. This question brings to mind some of those situations where the is no right answer. I feel we cannot classify dogs on an aggressively list. If we intend to do that, we will find the dog's ancestor tree is so straight that there is no poodle that can save itself from the blame. It only have an alibi in its size, and that if we are talking of big human beings. This is normal with any kind of animal you can find, look for cats, they are independent and so we feel they deserve room to move in, but it goes without saying that you wouldn't accept a Bengala tiger or a Serengueti Desert lion integrate your household, even giving them all the room they need. Dogs "adopted" human dwellings so long ago, we can't remember, wolves, coyotes and the like did not accept this kind of easy life and preferred the wilderness, this should say us something about dogs. Then again, I like to make a showdown about things concerning humanity: we have two hands, they seem apt for very interesting, important and useful things... but we can decide to use them to wrong causes, and sometimes we have a long rationalization to backup our behavior. It is so spread a custom that sometime we forget it exists and with dog there is no exception. If we make our homework and chose the dog that is our "best friend", there should be no trouble, since the odds are on our side. If I decide to make my surrounding more secure with a Rottwailer, a Doberman, or a Pitt Bull, just to name a few, it seems as if I like to be seated on a powder keg to get security. OK, I will get it, but there will be few things surviving the explosion, included myself if the the occasion arise. The bottom line is just get the kind of dog which is useful and not dangerous and you will avoid all those questions about liability, or guilt on the dog or on human beings. I cannot reach Army, Police, and all those other organizations supposedly in need of those dangerous species of dogs, but at least we can remove those kind of risky animal from our neighborhood. Of course, as in the case of the hands, if you are a gang partaker, or an unbalanced citizen, all this disquisition is void and invalid, which takes us to the incredible unwelcome, in appearance, futility of the presence of human species on our planet. The funny thing is, when I was young, many people had the big tough dogs, but I don't ever remember hearing about people being attacked as much as we do today. In fact, there was a high majority of stray dogs walking the streets and it was rare that those dogs attacked people. Maybe we should concentrate on only having the dogs that are less likely to attack us as pets, and leave the more stronger/agressive types for the police etc... Thanks Untony. Just a few thoughts of my own about these wolves we took into our homes: Have we done them any favours? In the balance, I don't think so. First 'pedigree' - selectively breeding dogs has resulted in many cases in health problems. Dalmatians suffer from mental illness, pugs and bulldogs (No offence, Rum!) experience breathing difficulties and alsatians have joint problems. All because we have violated the checks and balances of natural breeding. When was the last time you saw a stupid, crazy or unhealthy mongrel? Next working dogs. OK sniffer dogs and bloodhounds do seem to have a great time. Guide dogs, ratcatchers and sheepdogs too, who have their intelligence exercised and challenged every day. Perhaps huskies, but why? Because they're running round in the open, as part of a team exercising their natural instincts... which is what they would be doing if we'd left them to their own devices anyway. Then there's greyhounds, which are destroyed at the end of their short careers, beagles which have experiments done on them and pets which are often left to pine on their own for hours on end. Mind you, when the owner sees them they're filled with joy. Why? Because they're happy? No, you idiot! Because they've been on their own all day and are starved of company and the sense of belonging in a pack. And I haven't even got round to that poor, muzzled creature in the picture. Dogs that are trained to attack and fight. Of course, this would form part of their natural behaviour but I've seen these dogs go into a fighting frenzy and it's nothing like I've seen on nature documentaries about dingos, wolves etc. It's as if we've imparted to them our human capacity to actually hate. I believe breeds such as the staffordshire bull terrier actually have an intrinsically gentle nature and the ferocity is something we train them to. So, RPD, I'm not so sure if humans and dogs should mix. But not because I don't like them but because I respect their rights to live out their true nature. So so true, what you have said. Man has done nothing more than create certain animals that live a terrible existence with all the problems they suffer. It's also very disturbing how some of these animals are destroyed because they have served OUR purpose, and not their own. Thanks for your points Shiloh, very interesting read. Stories like this make me so sad! Where I live, the local government is considering putting a ban on pit bull ownership, due to the amount of attacks. The sad thing is that the owners in most cases here were not even aware that their dogs got out into the streets and attacked people. the dog doesn't know any better---he attacks what he perceives as a threat, which could be any stranger, young or old. I feel though that the owner is ALWAYS responsible, and should pay for any damages. Unfortunately, the dog is usually euthanized. Very sad situation. One question that popped my mind is this: who is important - humans or dogs? However, humans, an intelligent being, should be very responsible enough given that dogs have intelligence of a 2yr old. Here in our place, there's not that much "dangerous" kind of dogs. And our local breed (ASPIN) is not high-maintenance and are usually friendly even if they are strayed dogs. I'm not discounting the fact that sometimes they do attack humans. Most of times, it happens if they are threatened (like getting near their puppies) or provoked so many times. I've seen some dogs not retaliating if you poke them.